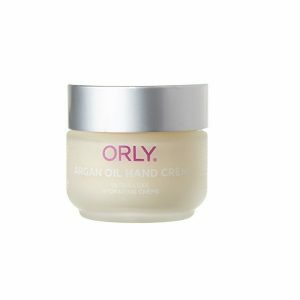 Shop for Hand Cream from a variety of different brands. Greener Beauty is always vegan, always cruelty free, only ever ethical brands and always toxic chemical free. The Sukin Hand & Nail Cream is non-greasy, light and will hydrate and protect dry hands while caring for nails and cuticles from added Hydrolyzed Soy Protein. 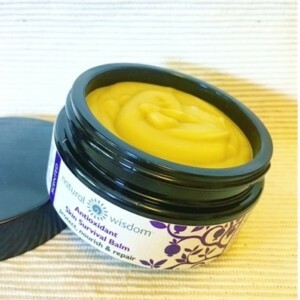 Hands will feel nourished, soothed and softened from Aloe Vera, Vitamin E and Borage Oil. 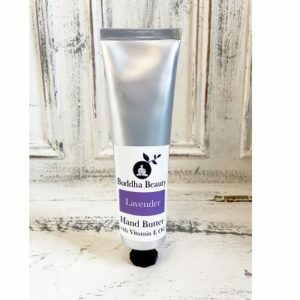 If you're looking for a bit of luxury added to your daily routine, and want to feel that extra bit special heading out the door, then invest in The Buddha Beauty Company Lavender Hand Butter. Our hands are used for almost everything we do, and so, like our faces, it's important to keep them fit, healthy and rehydrated too. 100mls . 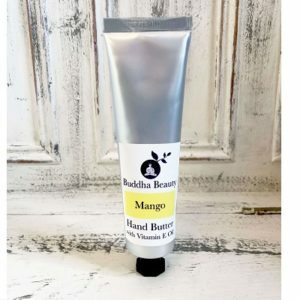 If you're looking for a bit of luxury added to your daily routine, and want to feel that extra bit special heading out the door, then invest in The Buddha Beauty Company Mango Hand Butter. Our hands are used for almost everything we do, and so, like our faces, it's important to keep them fit, healthy and rehydrated too. 100mls . 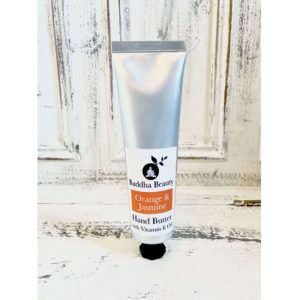 If you're looking for a bit of luxury added to your daily routine, and want to feel that extra bit special heading out the door, then invest in The Buddha Beauty Company Orange & Jasmine Hand Butter. Our hands are used for almost everything we do, and so, like our faces, it's important to keep them fit, healthy and rehydrated too. 100mls . 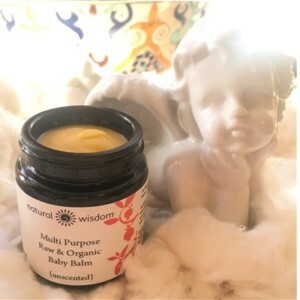 If you're looking for a bit of luxury added to your daily routine, and want to feel that extra bit special heading out the door, then invest in The Buddha Beauty Company Rose Hand Butter. Our hands are used for almost everything we do, and so, like our faces, it's important to keep them fit, healthy and rehydrated too. 100mls .